GRAB works perfectly with thousands of applications made for the Google Cardboard ecosystem. From the top of Cedar Point's tallest roller coaster, to a planet in a galaxy far, far away - thousands of experiences await you in the world of smartphone VR! 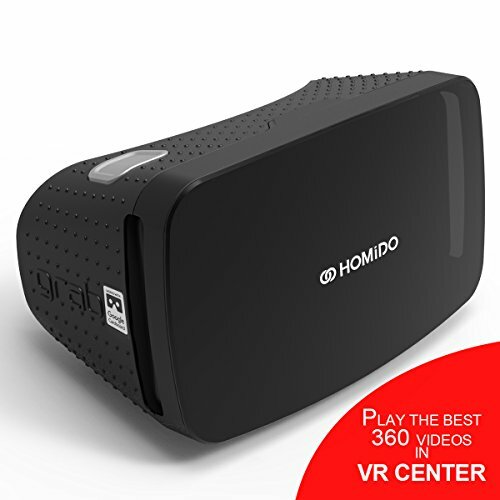 HOMIDO VR STREAM App:VR Stream is a totally immersive VR player for 360 Videos. It means the application allows to browse through videos without leaving VR. The Database is common with the VR Center's one : each video added to the VR Center is automatically available in VR Stream. If you have any questions about this product by Homido, contact us by completing and submitting the form below. If you are looking for a specif part number, please include it with your message.